This is not a unique release, its the regular UK version with a punched hole for jukeboxes. its got Man Shake & Mystery Boy written on the back side of the sleeve? !! would we call this a misprint? 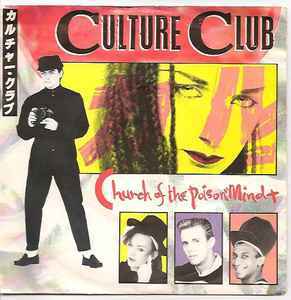 i've got this 7" single with a slightly different sleeve, the red japanese letters on the back side "culture club" are missing, just like on the Dutch and German pressings. But I believe it is the UK sleeve, as the catno on the sleeve is VS 571 and the record has got the UK picture label. is it a different version or not?